Powerslide Penguin is a simple minded game that follows one idea and just slides along with it with it. It’s a simple game which many iPod users want in a cheap game but like many simple games it tends to lack any sense of achievement. Players take control of Penn Gwynn (I know) who apparently is the world’s only powersliding penguin. Penn Gwyn has to collect all the coins ‘n’ loot from the evil Pengros (who is also a penguin) who has robbed the Chilly City Bank. A spin off from angry birds come into mind doesn’t it? All though there might be a lack of creativity from Chillingo there isn’t a lack of addictive-ness of the levels played. 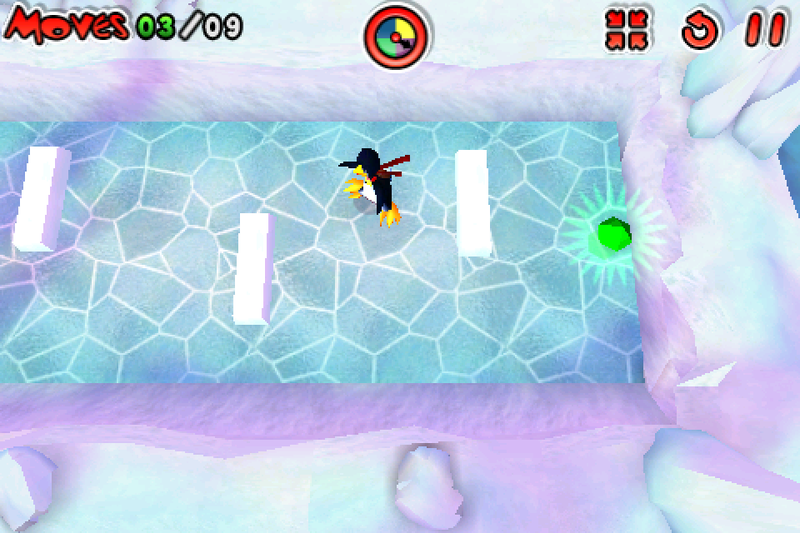 With just under 80 unique levels, Powerslide Penguin gradually gives many of the key elements that draw the player in. 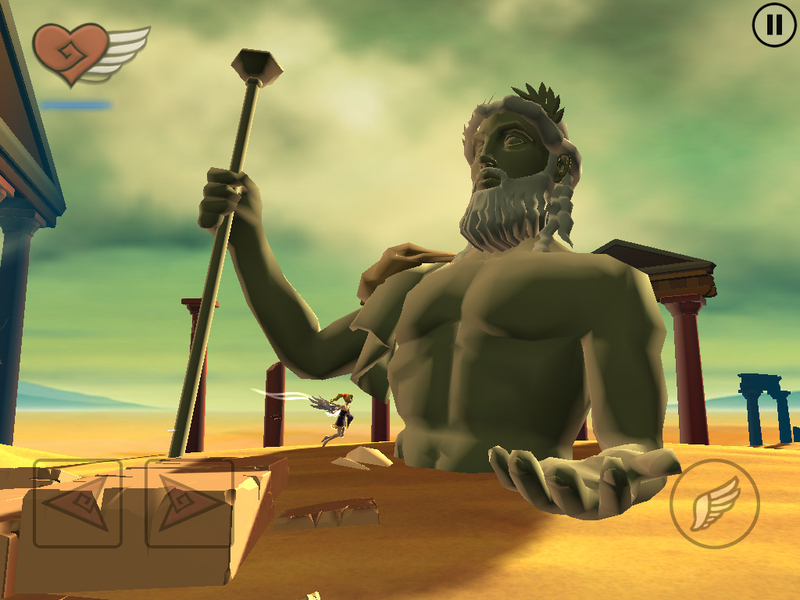 At first, players simply need to slide around ensuring they collect as many coins as possible in the short amount of time. As things progress through the adventure, the obstacles grow more intense in complexity aggressively. It’s not long before players find themselves having to be increasingly precise with their movements of speed and distance. Walking dynamite create a large part of the problem, desperately chasing after Penn with one touch wiping him out into the sky. Players are only able to move 9 times in any level, they drag Penn back with a finger and then let go. It all takes a bit of practice but it’s not long before players will be pros at shooting Penn Gwynn around the icy maze. Like many other casual puzzle games, Powerslide Penguin rewards its players with a three star system depending on how well they do. Points are awarded for speed and collecting loot so there’s a reason why players will want to replay earlier levels. Which is a simple feature on the main menu. Powerslide Penguin does what it expected of it. Simple-minded fun for some innocent casual gaming. Chillingo have created a simple but addictive and cute application. I’m sure I’ll see plenty of power sliders in the future. 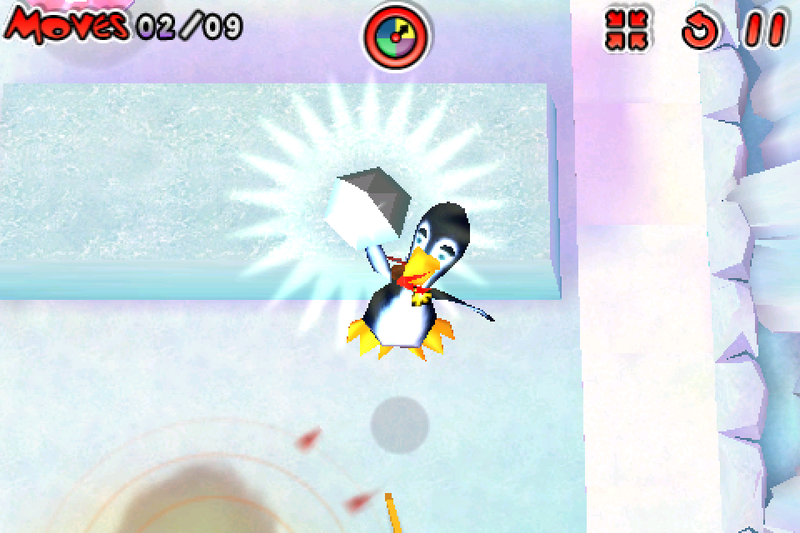 Powerslide Penguin is available now on the App store for £0.59 on iPhone and iPod and £1.19 for iPad.